Developed to inspect the composite over aluminum honeycomb structure of the F-15 vertical stabilizers, Qi2’s Induction Thermography System (ITS™) is a new generation of transient thermography which uses inductive heating of electrically conductive materials to detect flaws. Disbonds, delaminations and cracks are all readily identifiable. 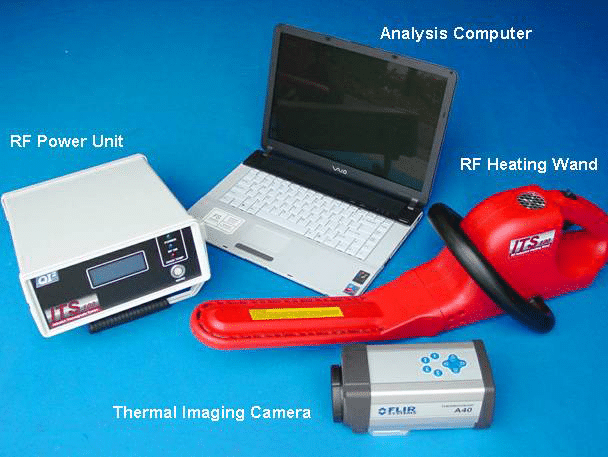 Compared to conventional flash thermography, the equipment is much more compact, and its higher energy efficiency delivery enables the detection of smaller flaws. The ITS™ uses electrical currents induced by eddy currents to provide a controlled and powerful way to stimulate a material for observation by sensitive infrared (IR) cameras. Using the RF heating wand, electrical current raises the structure’s temperature a few degrees F.
Using sensitive IR cameras that can detect as little as 0.08 degrees F, subsurface flaws show up as anomolies in the surface temperature pattern. For more information about the historical applications and capabilities of each system, please contact our sales and support team. ITS is a trademark of Qi2/QUEST Integrated, LLC. All rights reserved. 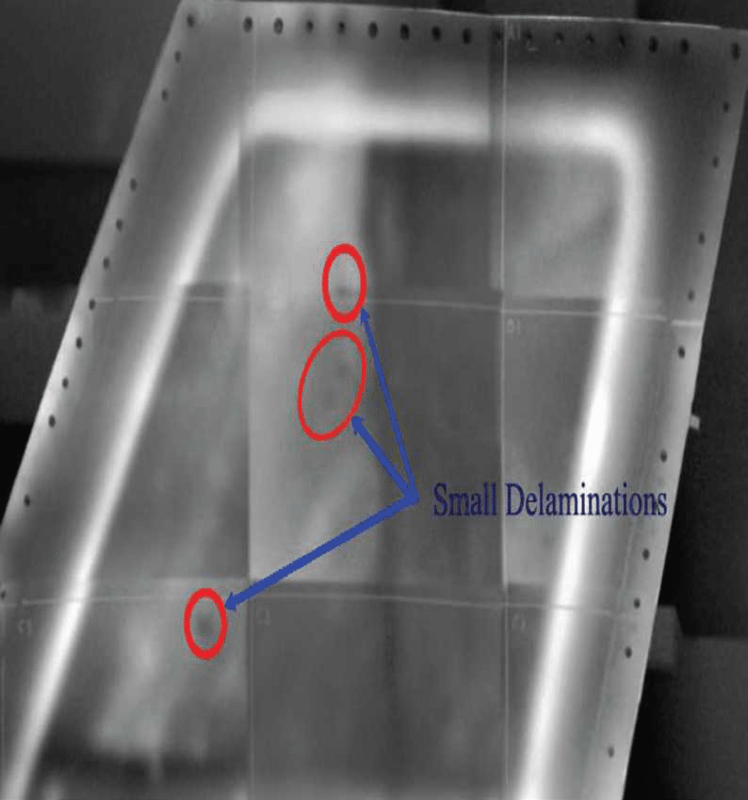 Composite images can be assembled to show flaw details over large areas. Dime-size disbond flaws become readily visible.